﻿ Railworks America • View topic - The editor has arrived! Re: The editor has arrived! Yeah except you can only share on Steam Workshop and store through their partner program crap. You won't see anything from me for it at 40% of the pay. This will go like how PMDG said FSW would before it bellied up. Force all third parties into a partnership and have no ability to distribute like how you want to. Is this more than a pre-release announcement? Open Beta to be released sometime before X-mas?? DTG are spreading their already limited resources very thin indeed. We'll have to wait and see for ourselves in due course, but the advice given is very valid: Install UE4, play and learn. At least it is coming. Downloaded UE-4 when Jointed Rail announced their UE based simulator. Definitely not user friendly, big learning curve. Do third party need to pay Epic Games also as they used their editor to make some cash apart from DTG and Steam. Last edited by TheRailWorkshop on Thu Oct 25, 2018 11:54 am, edited 1 time in total. So now my question is... What is the capacity of the game in terms of route size? So I'm curious if anyone will be willing to push the bounds of the game and make a route somewhere in the 50-60+ mile range. I also wonder if a terrain import feature will either be available or implemented in the future similar to the TSXX series. I don’t think there is any other way apart from applying yourself to the task. A tailored UE4 editor is all that DTG can provide, and even this tailoring to our needs is a huge undertaking on DTG’s part, for which we should be thankful. 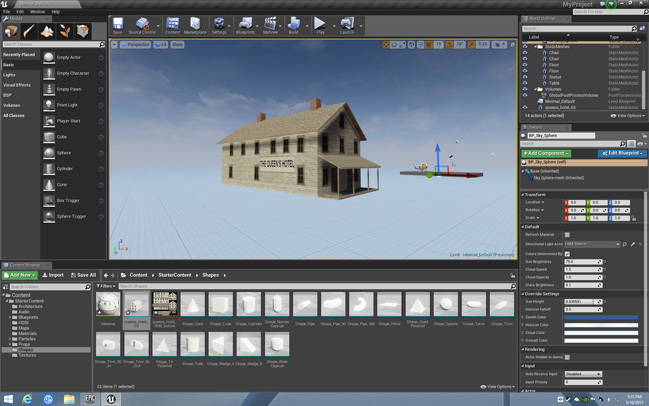 Going UE4 probably relieves DTG from the responsibility and task of providing complete and comprehensive documentation, instead all the available UE4 docs and tutorials can be used to learn and master, and dedicated players can already give themselves a head start. Hopefully, train makeup and scenario creation are amongst the more simpler tasks? Perhaps in the far future, if and when TSW has really taken off, a commercial party might program and sell a truly WYSIWYG editor suitable for novices players, i.e. a consist creator akin to those available for MSTS, or a scenario creator?? I think and I know I will be criticized again but I think it's a good thing for DTG viability to go with their 64 bit TS2019 so we can continue to enjoy the huge amount of everything already out there and continuing to be developed for TS. buzz456 wrote: I think and I know I will be criticized again but I think it's a good thing for DTG viability to go with their 64 bit TS2019 so we can continue to enjoy the huge amount of everything already out there and continuing to be developed for TS. Totally agree...I'll be satisfied with whatever is available for TSW while it matures, for now, I'll just continue to enjoy TS20xx and whatever the future for it holds. I don't argue with this. TSW isn't going anywhere soon and certainly isn't raking in heaps of profit for DTG at the moment and probably will not until all promises have been delivered and the majority of the more demanding customers are satisfied with the physics and operation side of things. So giving TSxx a few more years is a commercially sensible option to sustain DTG in developing TSW. I'am quite impressed by this anouncement, and hopeful to have such a set of tools ''optimised'' to TSxxxx. Yes, the only sreen grab shows all the possible sub-menus that one can open; just for us to think it will do wonders - usage and real use will tell! It has been raised that it looks not ''user frienly''. Nothing new here; all major serious players in 2D or 3D are adopting similar software structure and graphical looks. Photoshop, ++ , even the new beta 2.9 version of Blender is restructuring its complex 3D product. Complexity perhaps, but we will be compensated by a similar look and feel in menu structures, and hopefully, key shortcuts, etc. At least I'm optimist. BUT, I would like to suggest that we, as happy simmers, be proactive and start a new, well structured forum dedicated to this new editorial tool. Yes, You-Tube will always have videos. But we could have a simple mission : educate and help future creators with TUTORIALS' manuals, doc, how-to's, etc. adapted to TSxxxx. Furthermore it would be a centralized archive with thematized categories, such as locomotive and rolling stock or route building. The forum admins will no doubt create these forums once the editor is out.